Blue Heron strives to supply a wide variety of local and exotic hardwoods for your next woodworking project. We source from both commercial wholesalers and from local sawmills and sawyers. We occasionally get wood from local residents who have had a downed tree cut into boards and stored for years before realizing that they have more wood than they need. The selection of wood varies from time to time, especially for wood from local sources. 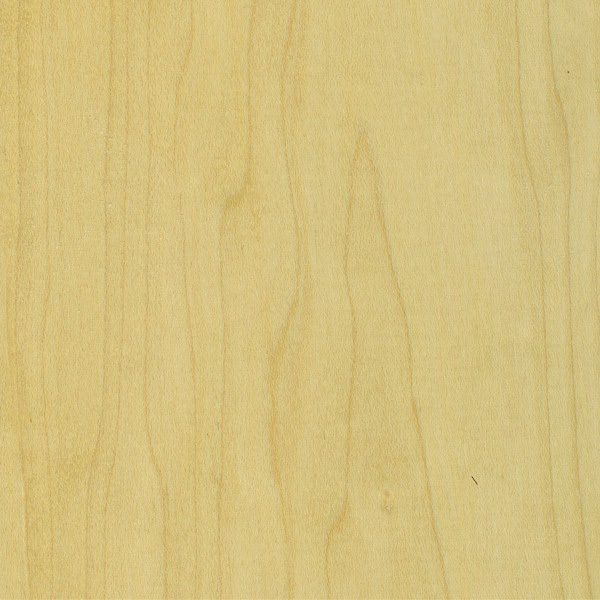 We regularly stock a selection of furniture grade hardwood lumber that is of a high quality. This is the same lumber that local furniture makers use to create their custom furniture. The lumber is graded and kiln dried in a commercial kiln. The cost of furniture grade lumber is higher but the yield is greater and the end product is more consistent. Our Furniture Grade wood rack typically has Red and White Oak, Pennsylvania Cherry (selected for it's consistent color and high quality), Poplar, Black Walnut, Alder, Hard White Maple, Hickory, and Ash. All species are Plain Sawn except for the Oaks which are stocked in plain or quarter sawn. We normally order our stock lumber in 4/4 (1") thickness, have it planed to 15/16" to allow our customers to see the color and grain, and have one edge ripped straight. Some species are stocked in 5/4, 6/4, and 8/4 thicknesses. All of the commercial lumber can be custom ordered in quantities and planed to any desired thickness. There are a number of local sawmills and sawyers who occasionally have excess lumber for sale. I stock some of this lumber, depending on the quality of the lumber and the market for that specific specie. Some of the lumber is kiln dried locally and some is air dried. Air dried lumber is preferred by some furniture makers who feel the wood is easier to work. The down side is that air dried wood is not as stable and will move more with humidity changes than kiln dried wood. The selection of local lumber is not consistent and the lumber is not graded for quality. It is, however, less expensive than commercial furniture grade lumber. If we don't have the specie or thickness you want, we may be able to find a local source for you. Use of exotic woods has fluctuated over the years. It was very popular in the 70's until we realized that we were causing large areas of tropical forest to be clear cut. Turns out that this isn't good for the environment. Eventually the public convinced the exotic wood suppliers to source sustainable species that are responsibly harvested. Because of that, exotics are gaining popularity again and the environment is not being compromised. Blue Heron stocks a limited quantity and variety of exotics. We usually have some Mahogany, Sapele, Padauk, Purpleheart, Wenge, Bubinga, Teak, Garopa, and Bloodwood but the offerings vary according to availability. Blue Heron stocks a limited amount of hardwood plywood. We usually have birch and Baltic birch in 3/4", 1/2", and 1/4" thickness. Walnut, Red and White Oak (PS or Qtr), Oak, Cherry, Maple, Poplar, Alder, and Ash can be custom ordered if not currently in stock at Blue Heron. We try to stock Curly and Birdseye maple. We also get live edge table top slabs and live edge lumber in occasionally. Some of the slabs have figure, some don't. We sometimes have Basswood, Catalpa, and Cedar. We have walnut and cherry veneer and hope to expand our veneer selection. Small pieces of "scrap" hardwoods come and go. We never know what will show up in the wood racks! All of the Furniture Grade Lumber, Exotic Lumber, and Plywood can be special ordered in any quantity. At this time orders placed by noon on Tuesday will be delivered on Thursday. Here at Blue Heron we price our lumber in relation to current market pricing. Feel free to call for more accurate information and current pricing.